UPDATED: Tue., Sept. 11, 2018, 8:58 p.m.
Chauncy “The Hillyard Hammer” Welliver may soon have another accolade to add to his belt after Spokane County Sheriff’s deputies say he intervened in a domestic violence assault, saving a woman from further injury. The semiretired heavyweight boxing contender from Hillyard who, along with his wife, owns the Spokane Party Bus, was chaperoning a late-night toga party in April when, deputies say, 37-year-old Joshua Wilson suddenly punched his girlfriend in the head, jumped on top of her as she lay on a porch and tore open her finger with his teeth, disfiguring it and sending a stream of blood from the wound. Welliver, 35, who said he was simply in the “right place, right time” to intervene, grabbed Wilson and punched him in the head – just as he’d done multiple times in the boxing ring – putting an early end to the assault until deputies could arrive and arrest him. Those actions, which arresting Deputy Samuel Turner said “prevented further assault to the victim,” netted Welliver a nomination for the sheriff’s annual “Outstanding Citizen Award” along with an invite to the awards ceremony and banquet on Oct. 10. The letter arrived in Welliver’s mailbox Sunday, something he said he wasn’t expecting or necessarily deserved. Welliver said the night in question started like any other weekend evening driving for the party bus: lots of people and abundant alcoholic beverages. Things were normal enough for a few hours, he said. But when the group of about 15 people celebrating the victim’s birthday went from bar to bar, then made a stop at a home on the 8600 block of East Valleyway Avenue at around midnight, it quickly turned violent, he said. Standing on the porch of the home the victim and Wilson shared together, Welliver said an argument broke out between the victim and Wilson’s mother, Shirley Trimble, which then turned into a physical altercation. Court records say Trimble, who would later be charged with third-degree assault for allegedly attacking Deputy Turner, was the “predominant aggressor” in the fight with the victim. It was during that altercation, Welliver said, that Wilson punched his girlfriend in the forehead, sending her to the porch floor. Welliver thought she was then injured by a nail sticking out of a plank of wood that became exposed when the porch collapsed during the incident, but court records say she was bitten by Wilson after he climbed on top of her. Around then, Welliver said, he grabbed Wilson, who had turned to attempt to throw another punch – this time at him. So Welliver punched first. Looking back, Welliver wonders if he “handled it the way a business man should,” but doesn’t regret his actions. Court records say that by the time Deputy Turner arrived, Wilson was yelling, “Mom didn’t do nuthin’! ” and was bleeding from his mouth and left eyebrow. Several intoxicated party-goers told the deputy Wilson bit the woman, and Wilson admitted to hitting her. He was arrested and later charged with second-degree assault, a felony. His mother was also charged with third-degree assault after she allegedly attacked Turner while he handcuffed her son. Welliver, who has owned the party bus for about three years, said it was the first time he’s had to use his boxing skills on the job. But it wasn’t the first instance in which he’s used them on a member of the public outside of a ring. In 2007, a jury convicted him of misdemeanor fourth-degree assault after the beating of a man on April 29, 2006, outside a now-shuttered downtown tavern. The injuries left the man, who Welliver’s attorney Rob Cossey said at the time was the initial aggressor, with a broken eye socket, nose and eardrum, which also caused hearing loss. Welliver said the arrest, charges, trial and four-month jail sentence he served at Geiger Corrections Center scared him straight and helped break the “tough guy” persona he carried with him from his upbringing in one of Spokane’s grittiest neighborhoods. After a short retirement from his last professional fight in July 2016, Welliver said he felt “rejuvenated” from the April incident and immediately began planning a comeback after a 15-year career ending in a 55-12-5 professional record. 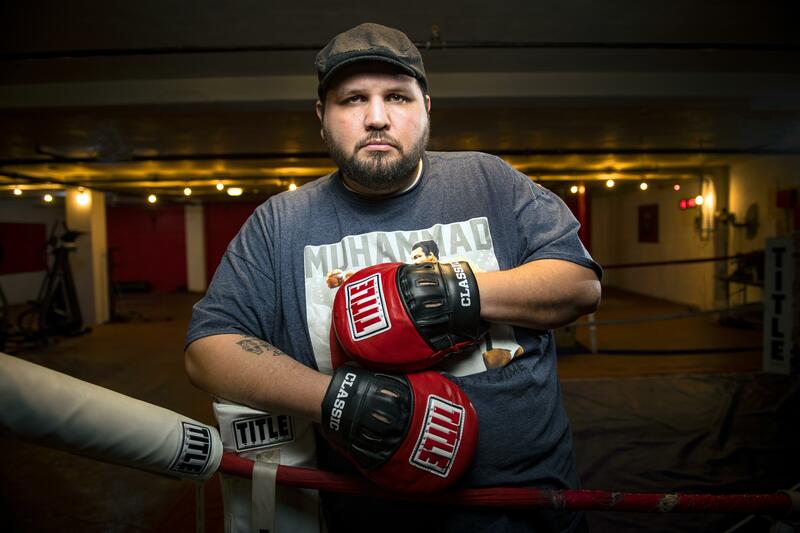 He’s set to compete in the Oct. 13 main event at the Coeur d’Alene Casino. Published: Sept. 11, 2018, 4:03 p.m. Updated: Sept. 11, 2018, 8:58 p.m.